Today, I’m excited to share details of our latest release, which delivers a beautiful payments experience for you and your customers using PayPal and Xero. 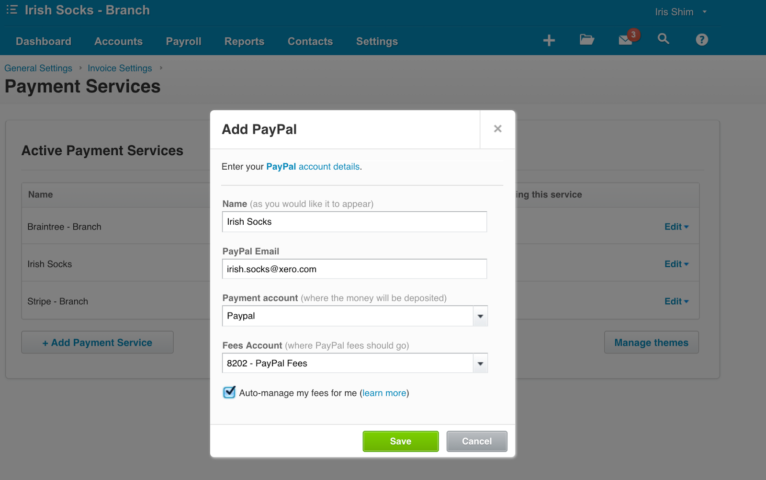 With the improved PayPal integration, your customers can pay your invoice with a couple of clicks. 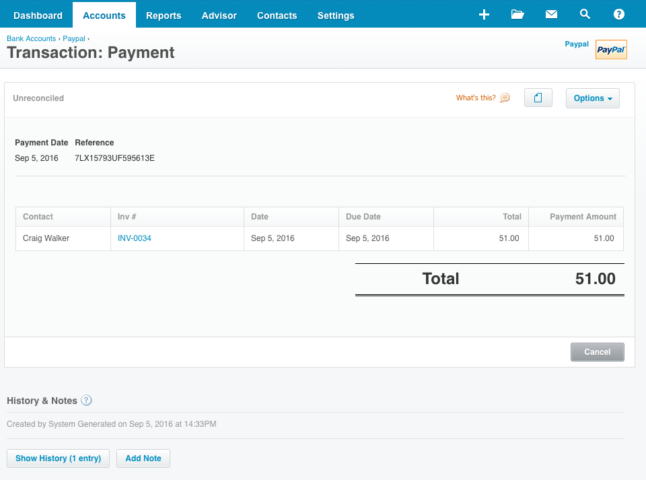 Once the payment is complete, the online invoice updates to show that it’s been paid. The payment is also reflected in Xero, so that that you no longer have to wonder about the status of your invoice. 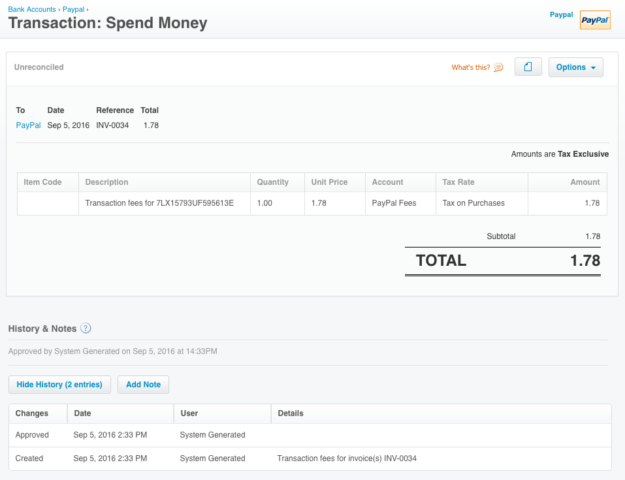 You’ll see the confirmation of payment show up in two places: in the history and notes of the invoice; and in the “receive money” transaction where the reference field automatically displays the corresponding payment ID from PayPal. 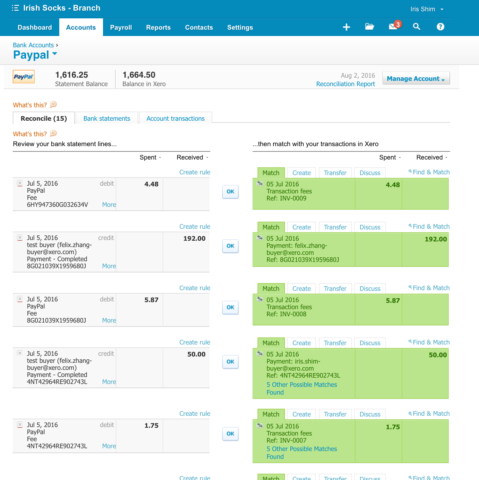 Xero also automatically manages the fees that PayPal and Stripe take for its services. Not only is the payment recorded, but the fee is automatically recorded in the history and notes of the invoice. There’s a link to view the “spend money” transaction related to the fee, with the reference field displaying the corresponding payment ID from Stripe / PayPal. The fee is automatically coded to the account assigned to PayPal / Stripe fees – which you can easily set up and manage in the payment services settings. 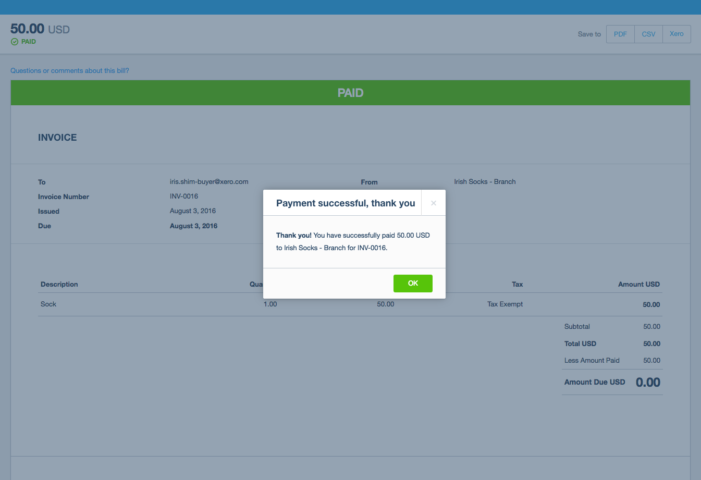 Xero automatically matches PayPal payments and fees, ready for fast reconciliation. Best of all, the upgrade is free. All you have to do is update your settings in payment services. The result is a powerful, integrated invoicing solution – with Xero doing more of the heavy lifting so you can focus on delighting your customers and getting paid quickly. 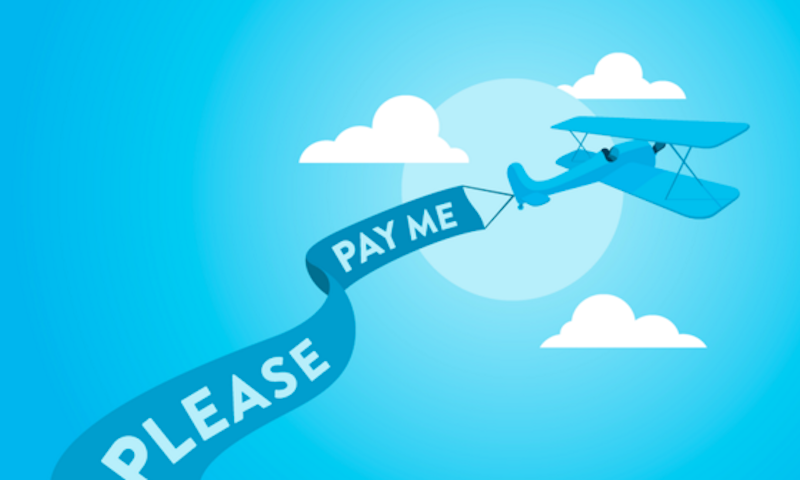 Already this year we’ve delivered more ways to help you get paid sooner through Xero invoicing. We started out the year by offering an easy way to support credit card payments through Stripe, multiple payment options, and access to these settings when raising an invoice. 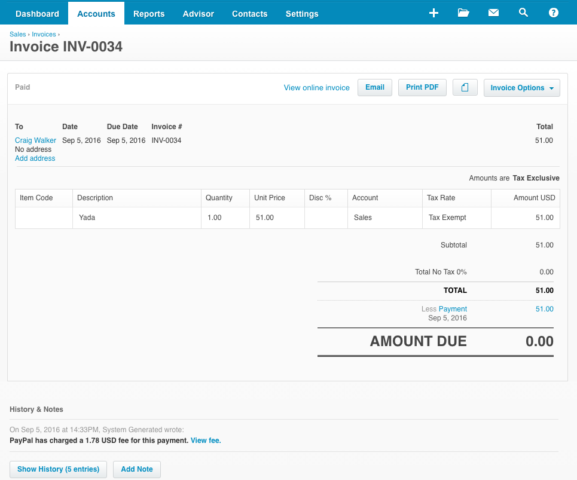 Then, just a few months ago, we released another wave of improvements that made online invoice pages responsive to the size of the viewer’s screen, as well as support for Braintree payment services. There’s still lots we want to do, and we’re already making great progress on the next set of improvements, so stay tuned! 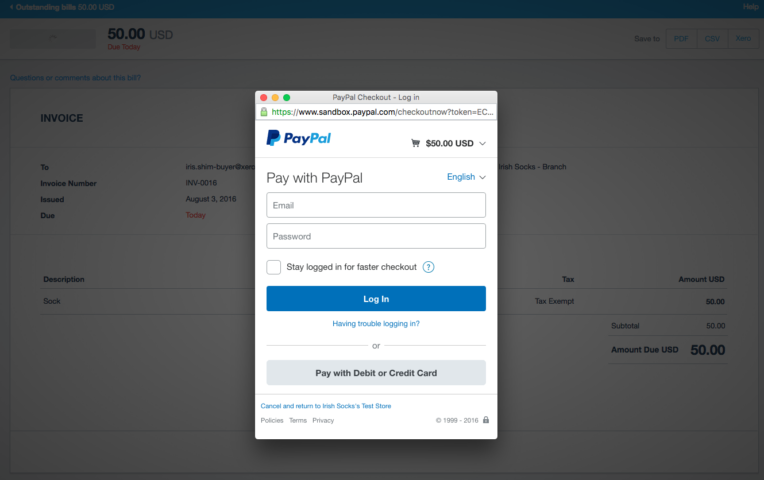 The post Get paid sooner: Improved PayPal integration with fees support now live appeared first on Xero Blog.